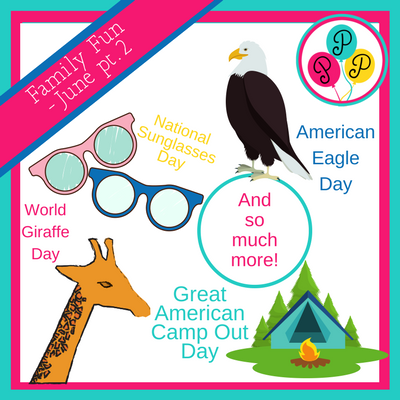 The FAMILY FUN FOR JUNE starts here! June 16. Fresh Veggies Day. make lady bugs, dragon flies or visit this fun video from the Philippines to encourage children to eat their vegetables. June 17. World Juggling Day. Visit the International Jugglers' Association and find great tips to celebrate this day! You can learn how to make your own juggling balls here. June 18. Combine Father's Day and International Picnic Day! Take Dad on a picnic. great picnic recipes here. Who knew Hot Dogs could be so good? Spend the evening watching Garfield Movies. You can catch Garfield and Friends on HULU. The Garfield show on Netflix (26 episodes), while Amazon has Garfield: Pet Force available to rent or buy. The Indianapolis Library offers a variety of activities. Search this page and find something yu like.. I thought about the Garfield app get a Garfield cartoon every day — there are over 11,600 Garfield cartoon strips. JUNE 20. is also American Eagle Day. On June 20, 1782, the bald eagle became our Nation's symbol and national bird. 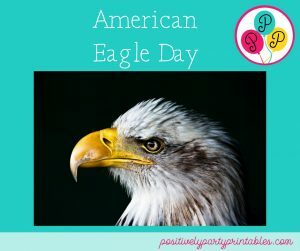 It is a day set aside to commemorate the anniversary of choosing the American Eagle as our National Symbol on June 20, 1782. It also celebrates the return of a once nearly extinct species. The day was created in 1982 by President Ronald Reagan. Watch Eagle cams here and here. Projects the kids may like include making a Bald Eagle from a toilet paper roll, and more. June 21. 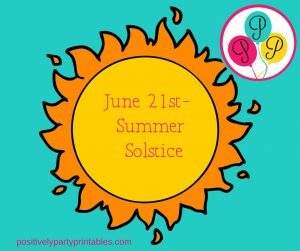 Summer Solstice in the northern hemisphere. The sun does not set at the North Pole on this day and there are 24 hours of sunlight. The Old Farmer's Almanac shares fun and interesting facts and folklore about this famous day. Enjoy this longest day of the day and take pictures to share on the longest day of the year when many of us are shoveling snow! This is also World Giraffe Day. 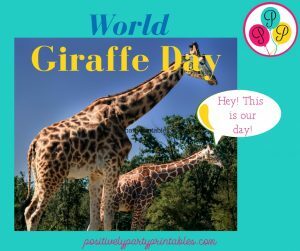 Make a giraffe mask, learn how to draw a giraffe, and find out there are different types of patterns for the 4 species of giraffes. There are also posters with all types great information to help you understand the history and science of these majestic animals. Even though this day is meant “To Let Go,” meaning whatever it is that’s been bothering you, let it go. Just let it go. 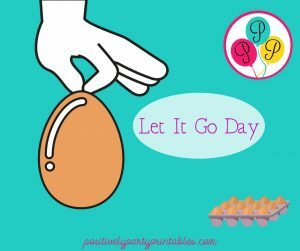 It’ll be a better day afterward.” But let's Let It Go in another way! Egg Drop Time. 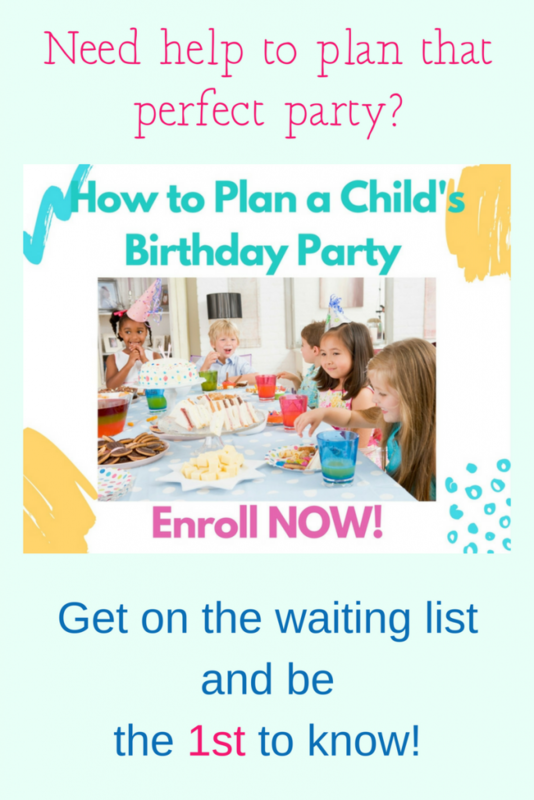 This is so much fun–Schools do it a lot–partly because it is so fun. For Instructions and information, you can look here. June 24. 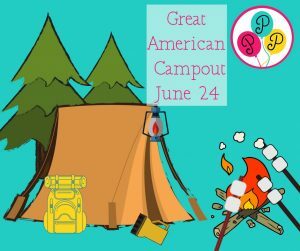 It's time for the Great American Campout. My family spent our summers camping. We saw so much of this country and it was fun. Try one or more of these great activities in your backyard or nearby park—-depending on the activity and in the park check to see if you need permission by calling your Park Board. 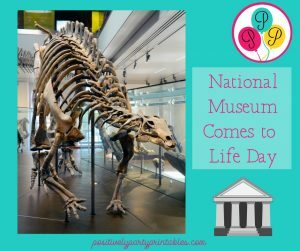 If you are looking for indoor activities for June 24, visit these for help deciding which one to visit on Museum Comes to Life Day. This site offers a good search tool for finding museums in your area. We live in a very small town area and I was able to find close to ten. And finally, museums can be a wonderful place to spend time with your family. When my group was young we purchased family memberships for the museums in Chicago. Wonderful! There are often smaller museums in smaller communities. When we had our Hobby farm there was a community museum in just about every small-very small community in our area. Each community, no matter its size, showed its respect for its roots by having a place to share its history. Take time to look, no matter where you are to find the wonderful place to will help enrich your lives. And finally, in the Evening, watch one of the Night at the Museum movies and enjoy! June 25. National Strawberry Parfait Day. Parfait is French for “Perfect.” It is said that if originated in France in 1894. There it is a frozen dessert, made with a custard. 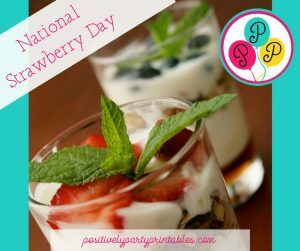 In the US it is made of granola, nuts, yogurt, liqueurs, and gelatin (Jello)desserts made in combination with a topping of fruits or whipped cream. These ingredients or any combination are layered and served in a tall glass, Usually clear, so that the beautiful layers of the dessert can be seen. This recipe looks fun…Now is a good day to try it. This simple version takes only a minute or two to create and LOVE them! June 26. National Chocolate Pudding Day! This is a wonderful recipe that everyone can enjoy! Avocados in your pudding? Yep! There are so many ways to have fun serving your pudding. Look here for inspiration to make pudding more fun! And pudding is fun, to begin with. June 27. 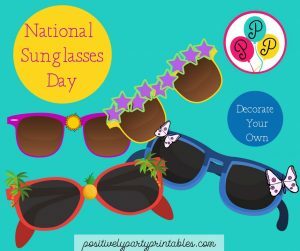 In honor of National Sunglasses Day, buy several inexpensive sets and decorate them. 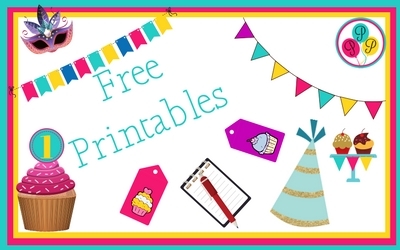 Stores such as Dollar General and Dollar Tree offer these for $1 for both adults and children.Look for inspiration here or keep the supplies simple and see what you can do with Sharpie Markers. June 28. The is Paul Bunyan Day to remember and enjoy the tall-tale hero Paul Bunyan. The legendary lumberjack Paul Bunyan and his faithful companion Babe the Blue Ox starred in many of the “tall tales” told in the Midwest during the 1800s, but I have read that every day is Paul Bunyan Day. He could have been the Superman of the American Midwest in the early days. One “tall tale,” says that the Land of 10,000 lakes has all those lakes are Paul Bunyan's footprints. 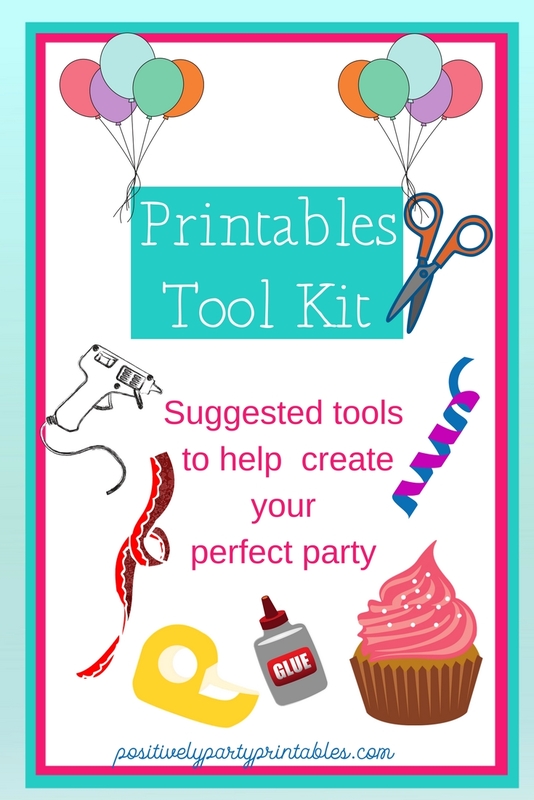 Have some fun with craft ideas and writing prompts. JUNE 29. 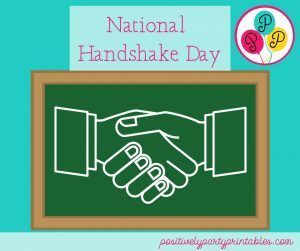 National Handshake Day. The everyday handshake has such an interesting history. And there is, just to let you know, handshake etiquette. June 30. National Meteor Day. You can view a 24-hour live telecast of meteor activity on June 30 at Asteroid Day.org. Download a POSTER explaining Meteor terminology. Join Facebook on Facebook and get to see photos and videos. For an interesting kitchen table science activity, Make Craters with Min-Meteors. Visit NASA.org for kid's activities, e-books, and apps. FUN! Hope you enjoy your June and See You soon to help give you inspiration for making memories.